This SONGMICS wobble chair allows you to rock, swivel, tilt and lean slightly to make sitting fun and promote healthy posture. The under-seat button allows you to to adjust the seat from 50 cm to 70 cm according to your height. 39.5 cm dia. 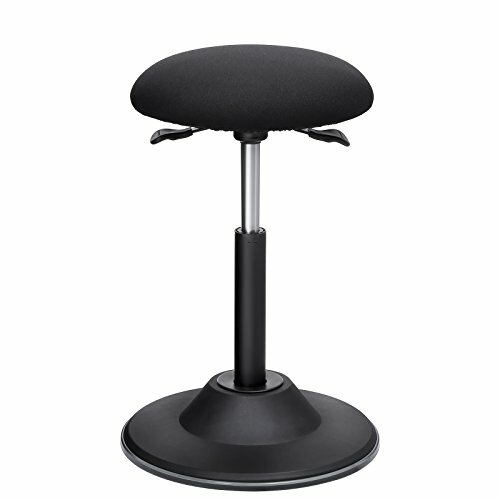 large base keeps it stable, so you could enjoy safe and reliable sitting. With the bottom anti-slip PVC pad, the active sitting chair is ideal for carpet, wood and tile floors in the office, laboratory and bar. Don't wait another minute! Click" Add to Cart" and enjoy active sitting! - Seat Size: 38 cm dia. - Base Size: 39.5 cm dia.